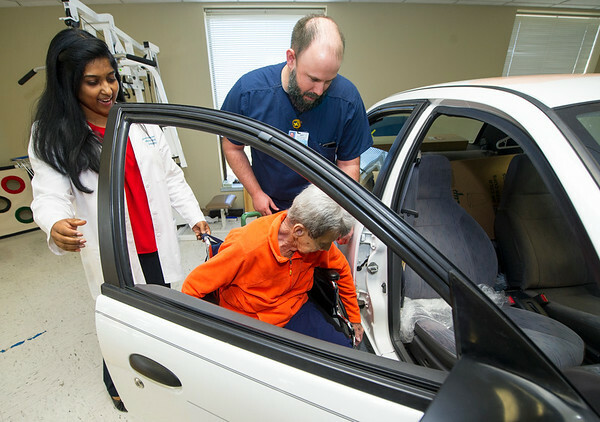 Dr. Rebecca Jeyaseelan, left and Freeman East Program Director for Rehabilitation Jeff Borum help June Morris into a car inside the Freeman Rehabilitation Unit last week. Morris was rehabbing from arterial bypass surgery on her leg. The unit focuses on rehabilitation in a practical setting, which includes staff assessing patients' abilities to perform everyday activities.